Routing info: All areas within the mountain 'ring' can be accessed, but not the hillsides themselves, with the exception of two community lots high in the hills, one accessed by two (alternative) winding paths the other by a gentle slope. Lake common 1 & 2, Ocean Common 1 & 2, Graveyard [Vampire] fish, Lake Uncommon 1 & 2, Ocean Uncommon 1 & 2, Lake Rare, Ocean rare, [i.e. Anchovy, Jellyfish, Red Herring, Blowfish, Salmon, Swordfish, Tuna, Tragic Clownfish, Shark, Lobster, Alley Catfish, Siamese Catfish, Angelfish, Swordfish, Minnow, Goldfish, Rainbow Trout, Red Herring, Siamese Catfish, Black Goldfish, Piranha, Vampire Fish, Robot Fish (and the Treasure Chest)]. Beetle spawners which include: Ladybug, Cockroach, Japanese beetle, Water Beetle, Lightning Bugs, Rhino, Stag beetle, Spotted beetle and Trilobite. Butterfly spawners which include: Moths, Monarchs, Red butterfly, Blue butterfly, Gold, Green, Purple, Silver, Zebra and Kite. Gem spawners which will spawn: Aqua, Emerald, Yellow, Diamond, Smoky, Ruby, Yellow, Tanzanite, Rainbow, Pink. Spawners for seeds: Common 1, 2, 3 and 4; Uncommon 1, 2 and 3; Rare 1, 2 and 3; Special 1, 2 and 3. I have placed one meteorite spawner [which may give huge meteorites], well away from residential/habitable areas. This beautiful valley was fashioned by Nature over many millennia through fire and ice. In the distant past, during several ice ages, great glaciers flowed through the valley carving out the distinct U shape we now see. The ice is long gone, but like all glaciers it left a few large boulders in its wake which even today can be seen in the valley. At the head of the valley is an extinct volcano: the fire. Though now still and quiet, in its active past it spewed minerals, making the valley a fertile haven in which various flora flourished. Mysteriously, uncut gems will occasionally appear in the valley amazing those who look to collect them. This secluded valley became inhabited by the Elven folk who delighted in its isolation and solitude. The only way into the valley is between the two hills at the end of the valley where the river Tindasir� ['glistening river'] flows onwards towards the sea, resulting in the valley being almost completely sheltered from the rest of the world. Here lies the wreck of a great seafaring ship. As the river flows out of the valley its close proximity to the sea makes this end of the river tidal. Hence, keen anglers will be able to catch ocean fish in the river beyond the graveyard. Elves are fleet of foot and like to run, so the roads in Istilnan are soft under foot, made from dirt while the pavements and paths are of flower-strew grass. Not only are the roads and paths kind to elven feet they are so much more pleasant to look at than tarmac and concrete. 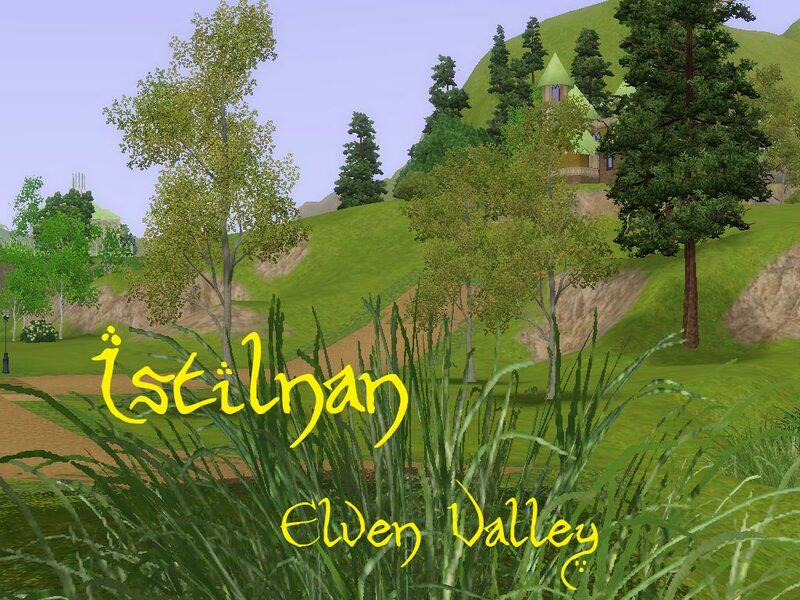 Istilnan is filled with the songs of life: of water tumbling and crashing from the mountain to the pools, the melody of birds, the buzzing, humming and fluttering of small creatures, the rustling of the cool breeze in the trees and flowers, and the song of the elusive and mysterious elves. At night, look into the sky to see the silver stars twinkling, and you will see why this valley became known as Istilnan. The valley enjoys a temperate climate with a wide variety of trees, shrubs and green, flower filled, meadows. This world is designed mainly for people who like to build. 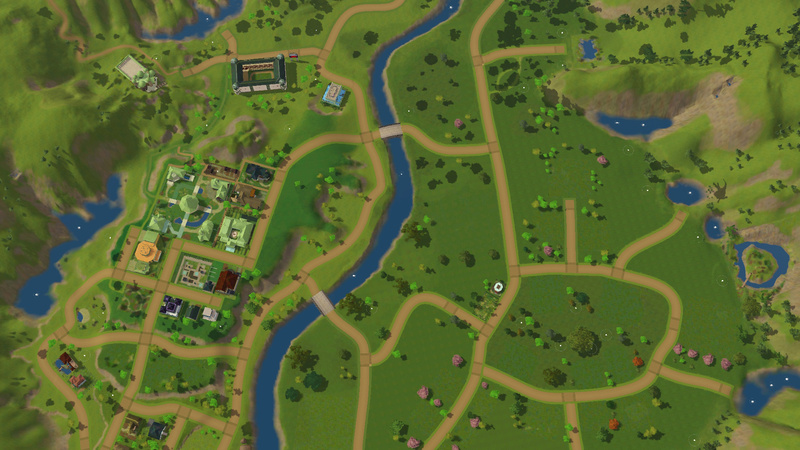 There are, however, 10 residential lots which are already built, two of which are �starter� homes suitable for one or two Sims. 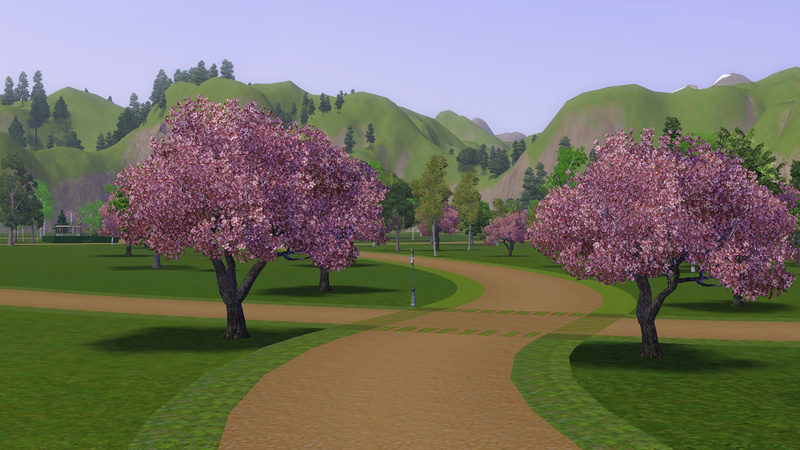 There are 35 residential lots in all, 10 have buildings and 25 are available for you to build on. There is one 64x64 lot suitable as a legacy plot. 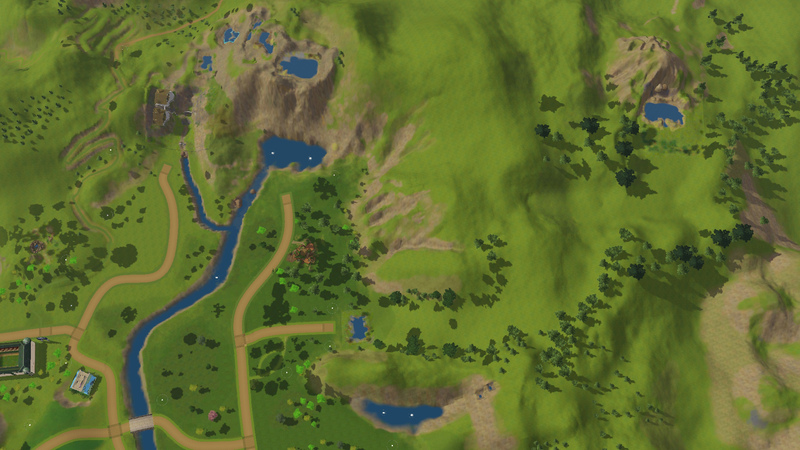 There is also a lot of space where more building plots can be placed should you so desire, so there is plenty of room to expand your world with more plots. 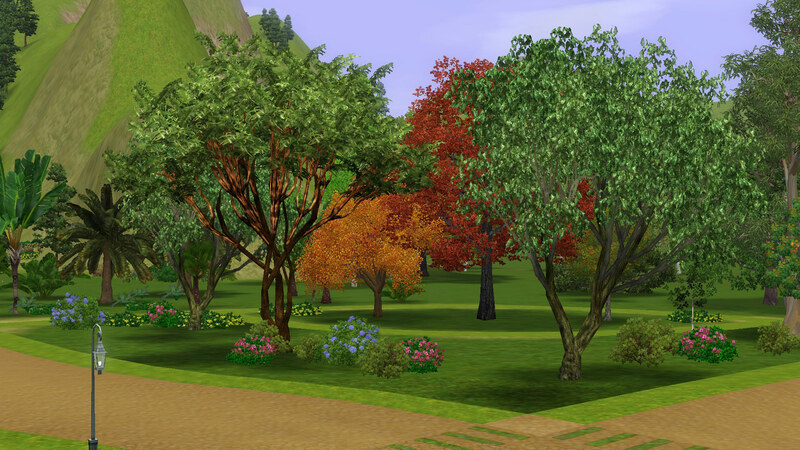 All empty plots are standard sizes allowing placement of pre-built lots. 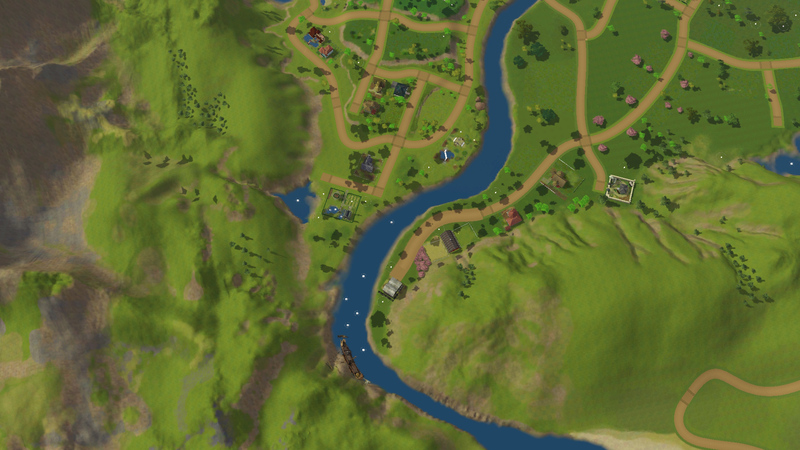 Istilnan is part of an archipelago, and straddles a river with the commercial town centre compact and the residential side nicely spaced and some roads with no building plots either side as yet! 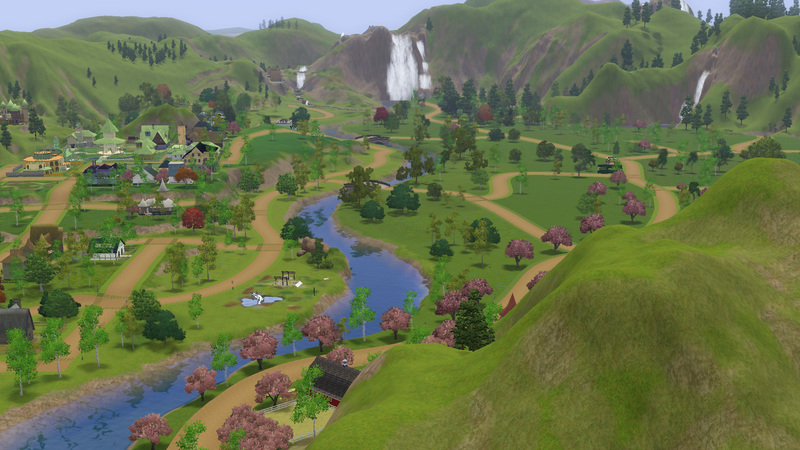 There are several open air community lots for your Sims to enjoy, including parks and fishing spots. 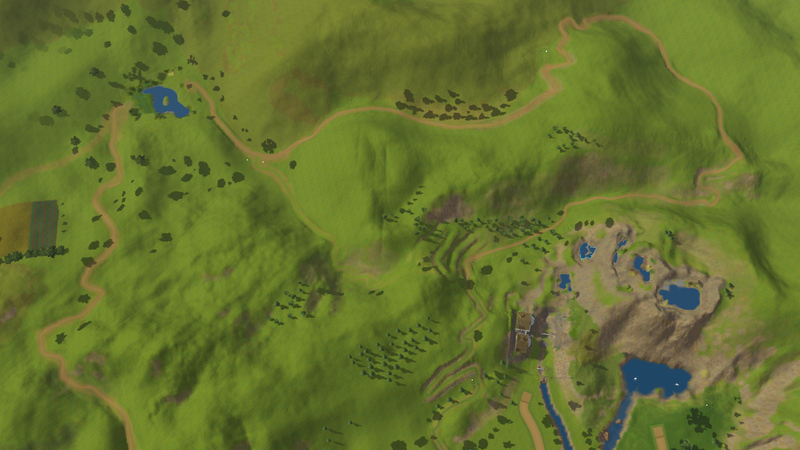 The following community lots are playable. There are no EA Rabbit Holes in this world, instead, all Rabbit Holes are playable lots with 'Rabbit Hole Rugs / Doors'. 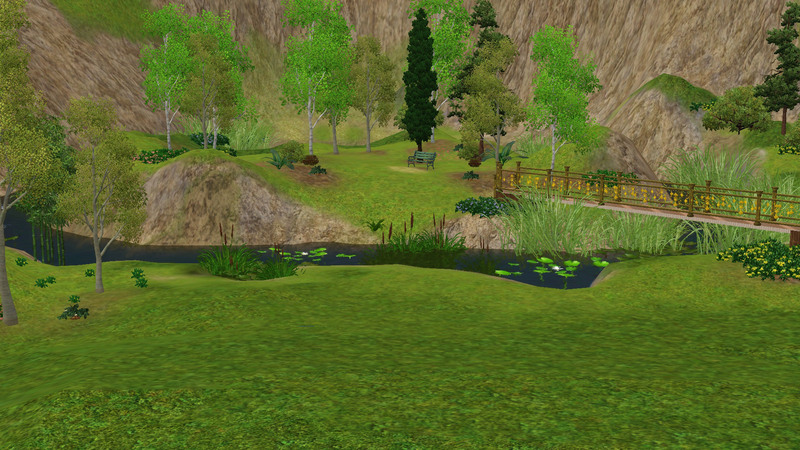 For the download visit Raven Shadow's Rabbit Hole Replacement Project. There are 3 files to download. Most of the roof patterns come from QBUILDERZ Raise the Roof patterns; select two files, the Thatched and the Scalloped, for download. 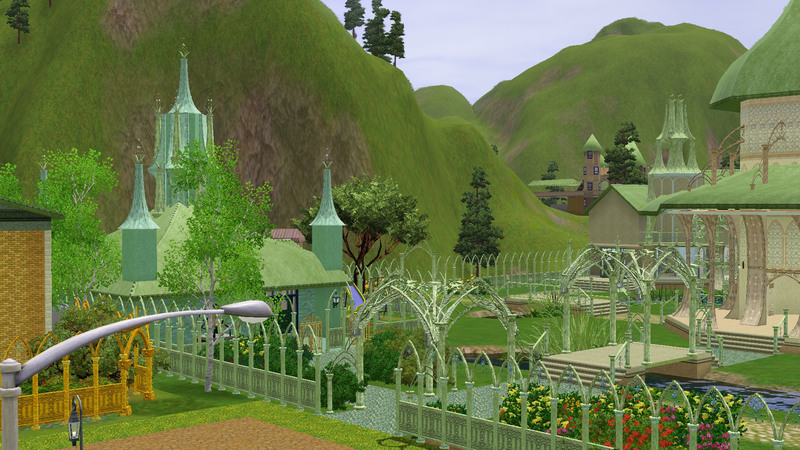 and the delicate elven sets Elven Set Part 1 here (1 file) and Elven Set Part 2 here (two files). If you are not familiar with downloading and installing custom content, please select the 'Install Instructions' tab on any of the above download pages for further guidance. A huge thank you to all three of these amazing creators.